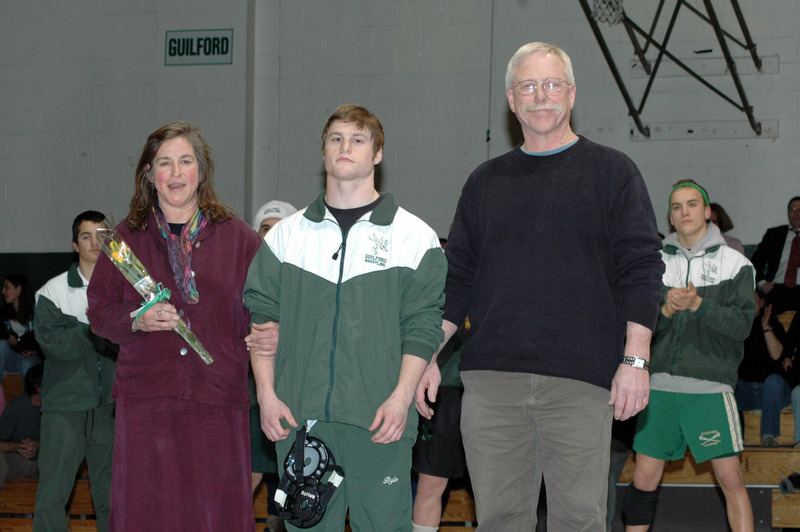 A Guilford Tradition: we invite the parents out on the mat to share a moment of thanks with their boys! 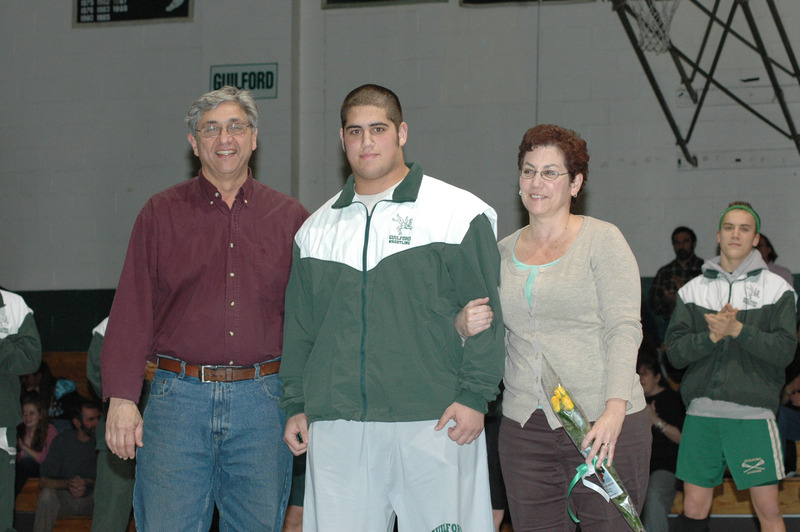 Barrett and his parents. It seems I have seen Mr. St George around a wrestling mat or two coaching. Tucc with his family. Sharing a proud moment. 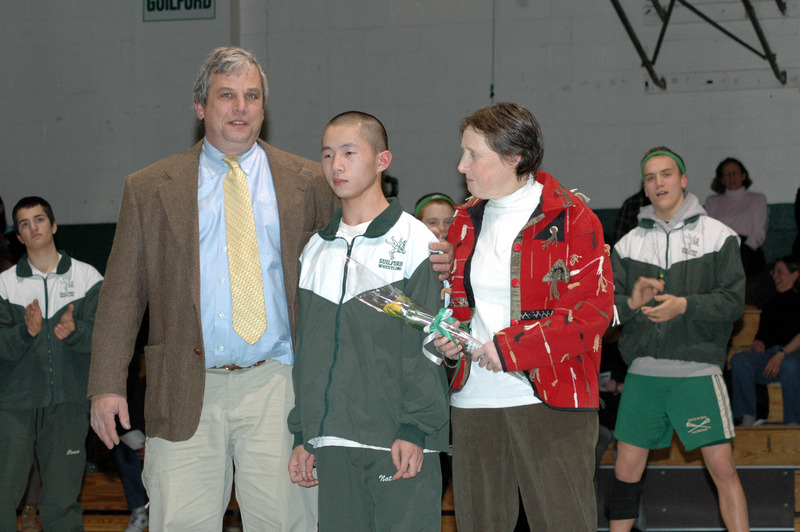 Nat scraps his way to Senior Night, with the support of his family. 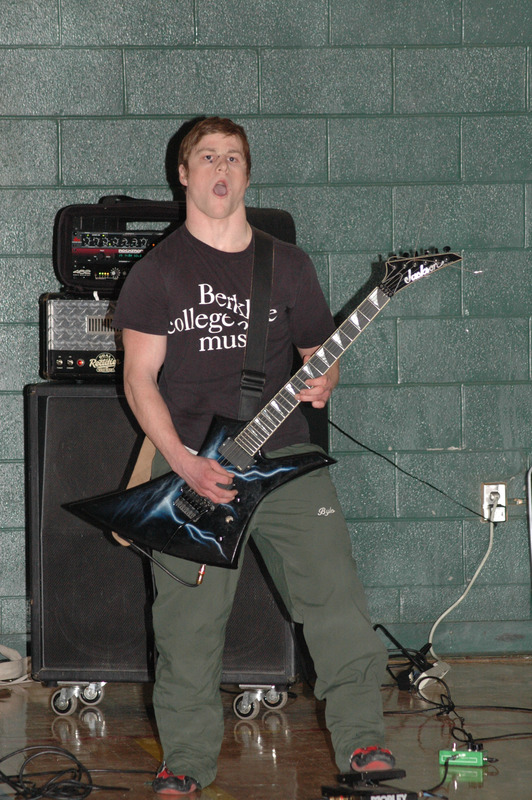 More wrestling pictures to come of our match vs Amity.